I'm taking a brief break from my Ireland recap to try to convince some more friends to join in on a silly summer tradition. Last year several nerdy book club pals on Twitter started chatting about keeping our books clean while we eat messy snacks. Someone shared a photo of herself eating hot Cheetos with chopsticks! Well, we couldn't just leave it at that, right? 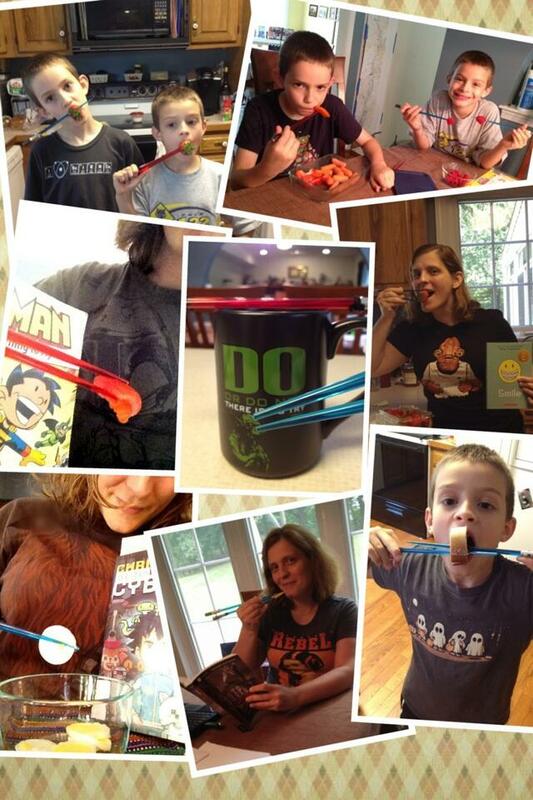 So we threw down the gauntlet - a twitter celebrations of "Chompsticks" and reading. Last year, since I used light saber chopsticks, I made it my mission to wear a different Star Wars tee shirt in each photo. I roped my silly children into the fun as well. I do own enough Star Wars shirts to make this happen, and I even had some shirts that didn't make the cut. Here's a sample of some of the fun at the Selke household. I even dedicated my Star Wars Thursday post to the Chompsticks hilarity. This year, I'll see how many DIFFERENT fandoms I can cram into #Chompsticks as I add my own geeky flair to the week. 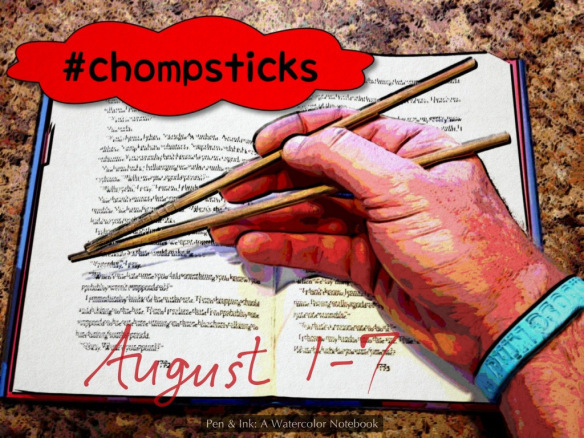 Sherry (@LibraryFanatic), David (@DavidAEtkin), and I would like to continue the tradition we started last year by running the second annual #chompsticks week from August 1st through August 7th. Getting involved is simple: chopsticks + food/snack + book —>> snap a picture. You can do it daily or just once or anywhere in between. 1) Include chopsticks and any type of treat! Include your current read, and anything else you want to add your own flair to the fun. 3) If you are on Instagram (use #Chompstick and post to Twitter) or tumblr or another SM service, feel free to share your photo there, too! Maybe we’ll get more folks to join in the silly. 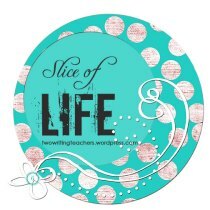 This is an honest-to-goodness slice of my life. Sometimes you just need to dance in the rain.